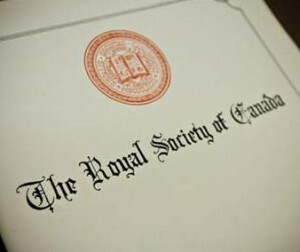 McGill researchers Bruce Reed, Vincent Giguère, and Allan Sniderman have been elected as Fellows of the Royal Society of Canada (RSC) in recognition of their outstanding scientific achievements. The three are among the 77 new Fellows, two Specially Elected Fellows and two Foreign Fellows to be elected to Canada’s oldest and most prestigious scholarly society. This year’s new Fellows will be inducted at a ceremony to be held on November 28-29 in Ottawa. Vincent Giguère is an international leader in the field of nuclear receptors, a class of DNA-binding proteins that regulate the expression of genes in a cell and tissue-specific manner in response to small lipophylic molecules such as steroid hormones and vitamin A. Dr. Giguère identified several members of the super-family of nuclear receptors and revealed mechanisms demonstrating how these proteins work at the molecular level. His groundbreaking work also led to major advances in our understanding of the roles played by nuclear receptors and their natural and synthetic ligands in embryonic development, adult physiology and several diseases, most notably hormone-dependent cancers and metabolic disorders. Allan Sniderman introduced apoB into clinical practice worldwide as the key index for treating elevated cholesterol levels thus saving many lives. In 1980 he first published that apoB was a better index of vascular disease risk than LDL cholesterol; and confirmed this in subsequent epidemiologic studies. In May 2008, the American Diabetes Association and College of Cardiology jointly stated that apoB is superior to other cholesterol markers. His work on the regulation of the composition, number, and hepatic secretion of apoB particles, and the regulation of fatty acid transport in adipocytes provided a physiologic basis for his seminal clinical finding.